Posted May 4th, 2014 - News Posted for ISA News. 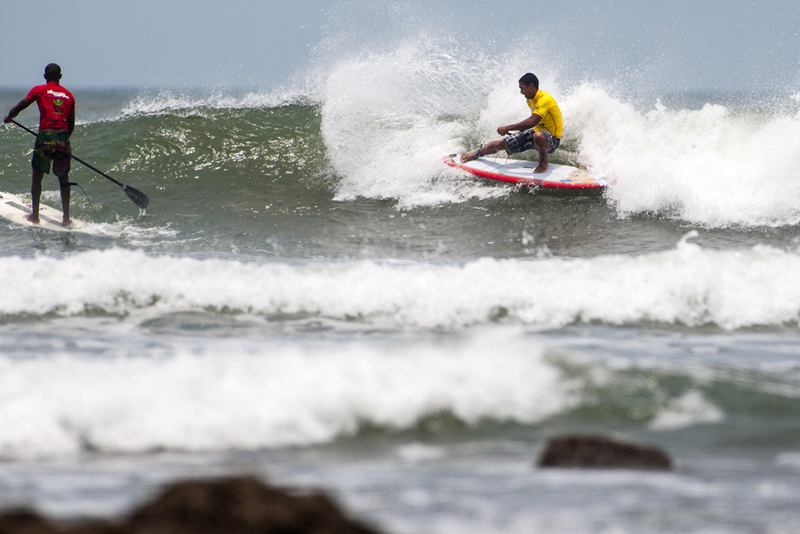 La Boquita, Nicaragua, May 4, 2014- The SUP Surfing competition of the 2014 ISA World StandUp Paddle and Paddleboard Championship (WSUPPC) is underway. 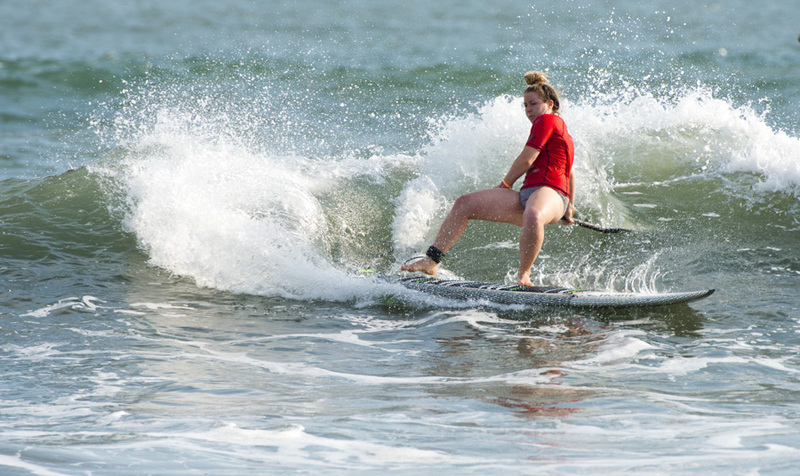 Day 1 featured amazing high performance SUP Surfing in the beautiful waves of Nicaragua. The best men and women SUP surfers from around the world gathered in La Boquita beach. La Boquita is located in the municipality of Diriamba, along the Pacific Coast, just over an hour drive south west of the capital city, Managua. 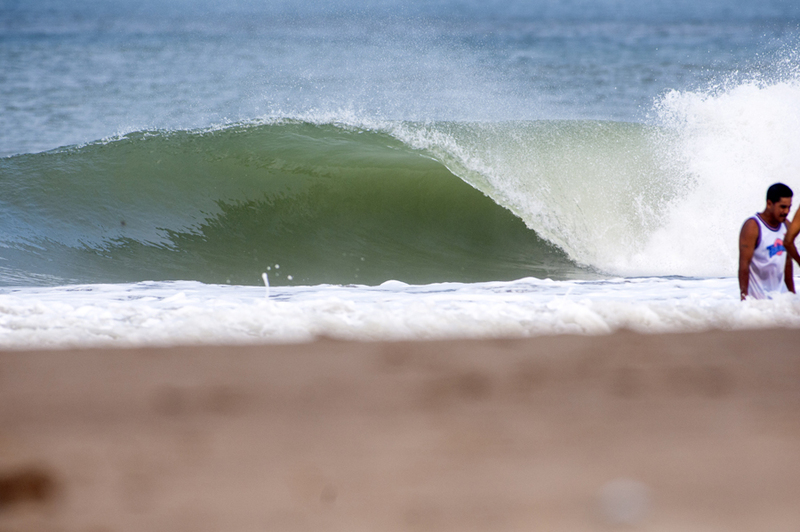 The wave at La Boquita is sand and rock bottomed beach break that offers long rights and lefts. It allows for the surfers to perform a variety of maneuvers on its open wave faces and is well suited for SUP Surfing. The surf was in the 2-3 feet range with some bigger sets. The contestable conditions were best during the morning and afternoon higher tide, when the wave’s form is best. During low tide, the rides have more sections and typically are shorter in length of ride. Nicaragua is famous for its usually strong offshore winds that are caused by Lake Nicaragua, but today, the phenomenon was evident in the afternoon when the sideshore winds picked up. “In just three editions of this World Championship, each year I am amazed by the progression of the sport,” said a jubilant ISA President Fernando Aguerre. “Not only is the equipment getting better, but also the level of performance is incredible. The world’s best men and women SUP Surfers are pushing the boundaries to new levels. 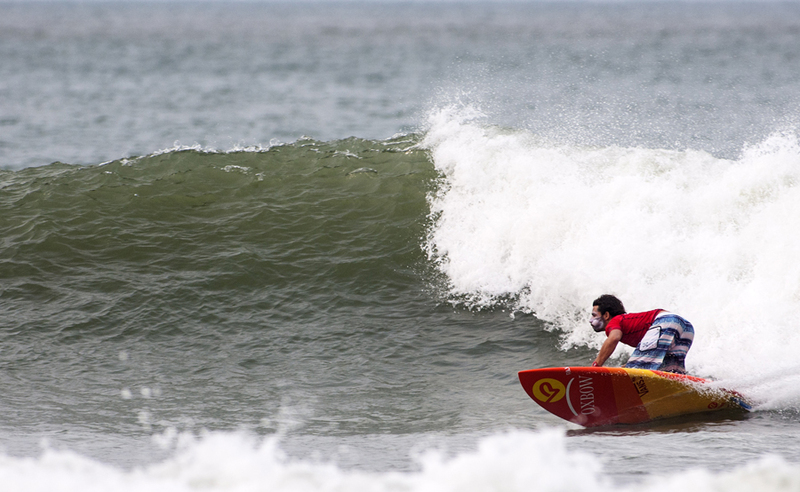 Day 1 of the ISA WSUPPC featured the opening Qualifying Rounds 1 and 2 of the Men’s and Women’s SUP Surfing. The standouts of t the day were Tahiti’s Poenaiki Raioha in the Men’s side and Spain’s Iballa Ruano in the Women’s. Raioha put on an impressive performance in La Boquita, earning the two highest total heat scores of 14.97 and 14.50. The 17 year-old from Papeete advanced to the next Qualifying round and is one step closer to the final. 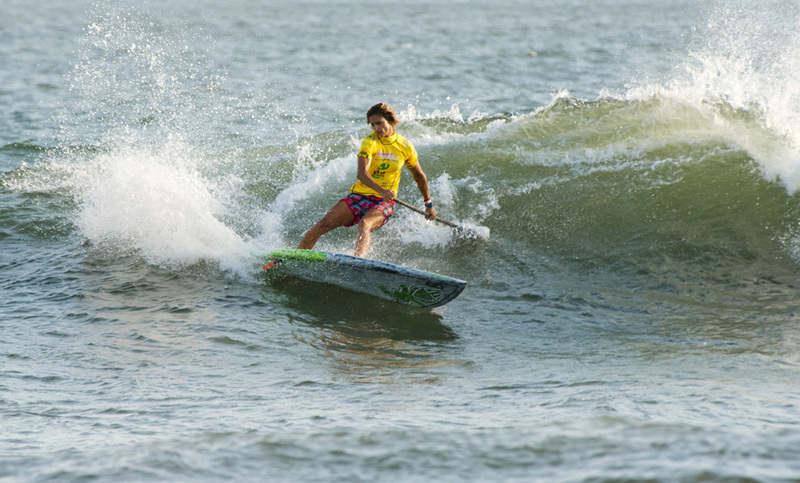 Ruano, the 2013 ISA WSUPPC Bronze Medalist, is on a quest for gold, earning the highest single wave score of 8.00 and total heat score of 14.17 in the Women’s division. The Spaniard defeated Mexico’s Karen Jacobson (9.10) and El Salvador’s Josselyn Alabi (3.13). Today, regardless of the athlete’s placing, no one has lost out of the competition. All the athletes placing 1st and 2nd moved on to the next round and all athletes that placed 3rd and 4th move on to the Repechage Round, where they will get one more chance. Other women standouts include South Africa’s SUP National Champion, Tarryn Kytes (RSA), 2012 ISA WSUPPC Gold Medalist, Emmy Merril (USA), and 2013 ISA WSUPPC Copper Medalist, Caroline Angibaud (FRA), all of whom have advanced to Qualifying Round 3.